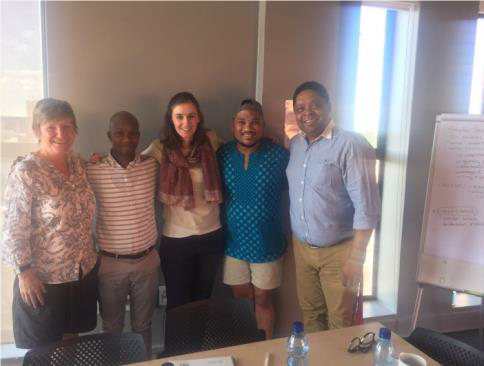 In 2017, GCP (Global Citizenship Programme) formed a new and exciting partnership with Sol Plaatje University. The aim of the partnership was to provide a chance for the pedagogy and practice of the GCP to grow and develop in partnership with a university which has a very different context to our own. There was a focus on popular education, community engagement and ultimately disrupting the knowledge hierarchies of academic institutions. It was to develop students as active citizens with key skills of facilitating dialogues around difficult issues. The partnership came about through Mr. Jerome September, an ex-colleague from UCT who was involved with various aspects of the GCP before taking up the position of Dean of Student Affairs at Sol Plaatje University in Kimberley. Mr. September approached Dr Janice McMillan early in 2016 with an interest in wanting to start something similar to the GCP at SPU where part of his mandate is in developing the institutional culture at the university. Their mutual interest in developing values of social justice, active citizenship, critical thinking, and engaged dialogue was a key starting point for the partnership. Funding was then received from the D. G. Murray Trust for this project, for the period of November 2016 to October 2017.